Every other year, Beauty Industry West’s Board of Directors selects a recipient for the Legend of Beauty Award based upon the criteria of an innovator whose thinking, commitment and business practices have changed the direction of our industry in significant ways, one whose vision has contributed to the advancement of our industry as a whole. This year Jane Wurwand is BIW’s honoree. Jane will share her experiences in the founding of Dermalogica in 1986 (along with her husband and Co-Founder, Raymond), and how her values, choices and challenges set them on their path to global growth in 100 countries worldwide, including the U.K., Ireland, Australia and Canada. Dermalogica, based in Carson, CA, is now part of Unilever’s Prestige Division along with two other West Coast brands acquired last year, Murad and Kate Somerville. Jane will discuss her distribution choices and how Dermalogica acquired their unique “tribal following” that has distinguished her as a true leader, visionary and educator not only within the professional beauty segment but among consumers world-wide. 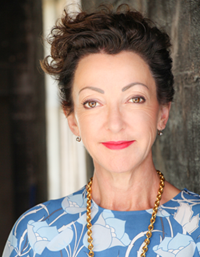 As the Founder and Chief Visionary of Dermalogica and The International Dermal Institute post-graduate training centers, Jane Wurwand is one of the most respected authorities in professional skin care therapy. Under her leadership, Dermalogica has grown to be the leading professional skin care brand, used by more than 100,000 skin therapists in more than 100 countries. In 2011, Wurwand founded FITE as part of the Dermalogica Foundation. FITE (Financial Independence Through Entrepreneurship) is a global women’s entrepreneurial initiative inspired by her three decades of work in the skin care industry where most of the ownership and work-force is female. FITE helps create pathways to entrepreneurship by providing education and access to small loans and business resources. Most recently, FITE launched a new salon program, FITE Future Entrepreneur, under former Secretary Hillary Clinton’s Job One initiative. A member of the Clinton Global Initiative and their Women and Girls Action Committee, she is also special advisor to the UN on Innovation and Entrepreneurship, working to move forward the global gender equality initiative. Born and raised in the United Kingdom, Wurwand travels year-round as a speaker and educator and lives and works in Los Angeles. Jane and her husband, Raymond, are parents of two teenage daughters. Grilled Salmon served with Orange/Dill Risotto, Grilled Asparagus and Grilled Tomato. Join a growing number of beauty brands manufactured in America that are setting the standard for what it means to be an American Made Beauty brand and are proudly wearing the Verified Seal. 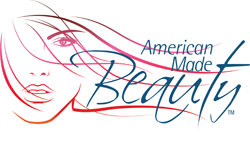 What is American Made Beauty?